Makgadikgadi Pans National Park Botswana, Botswana wildlife safaris to Makgadikgadi Pans Park, Makgadikgadi Pans Safari in Botswana, Botswana Safari Tours, Wildlife Safari in Botswana Trips, Botswana Holiday Tours. The Makgadikgadi Pans National Park is a salt pan as its name suggests covering 3,900km2 positioned in the dry savannah to the north east of Botswana standing among the expanse salt pans in the world which is a remnant of the historical Lake Makgadikgadi. To the south east of Okavango Delta and engulfed by the Kalahari desert, the Makgadikgadi is in reality not a single pan but a range of pans featuring sandy desert in the middle where the largest is Sua (Sowa) followed by Nwetwe and Nxai Pans. The single largest pan stretches to 4,921.0 km2. It can be noted that the Pans are salty desert lands which only bear a blue – green algae thin layer and few of the wildlife can thrive on them in times of harsh dry season which is marked by string winds along with salt water. However, in the rainy season, the pans are ideal habitat for migrant wildlife like the Wildebeest, Zebra, birds like the great white pelicans, geese and ducks. The Soa Pan is the home to the one of the two (2) breeding populations of greater flamingos in the South of Africa. The Makgadikgadi Pans National Park remains dry for the greater part of the year which explains the absence of large mammals. 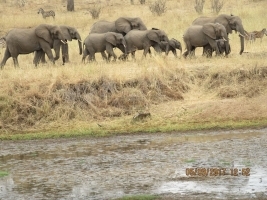 However, following good rainy seasons the Sowa in the east and the Ntwetwe in the west experience floods which in turn attracts counts of wildlife like Zebras along with the Wildebeest to graze in the lush plains, Flamingos at Nata and Sowa Sanctuary whose considerable numbers generate magical birding experience. The down pour is supplemented by seasonal rivers like Tutume, Nata, Mosetse and Semowane while in periods of extra ordinary rains; the Okavango through the Boteti River also supplies water. During this period, the pans appear as powder blue lake with water stretching over the pebble beaches and lapping the shorelines giving a clear manifestation of where the ancient Makgadikgadi Lake once occupied. Dr. Livingstone David – the most notable African explorer is known to have crossed the Makgadikgadi pans under the guidance of a huge baobab tree named after Chapman which is believed to be 3,000 – 4,000 years old. 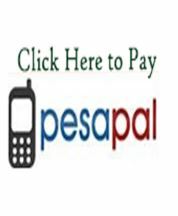 The human settlement has been recorded in this area since the Stone Age period adapting to the climatic and geographical changes as they have been happening overtime. The great sites of archaeology on the pans can be viewed including the tools of early man, the bones of animals and fish he consumed. 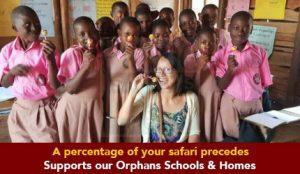 The present day villages include; Mmatshumo, Gweta, Mopipi, Rakops and Nata thrive on the fringes of the pans. Kubu Island is a notable rocky out crop close to the Sowa Pan’s south western shore. The Island is 1km long and its slopes are marked with fossil beaches of rounded pebbles which is a manifestation of the ancient Lake Makgadikgadi’s water levels and among the fossils include the guano fossils – a water bird that used to perch on the rocks. The Island features impressive boababs beautifully shaped engulfed by pan’s white salt surface presenting a serene environment worth visiting. The Island also features historical and archaeological remains that narrate both early and contemporary human history. Items like arrow heads dating back to the Stone Age period can be seen on the Island. The Nata Sanctuary covers an area of 250km2 featuring pans and grasslands and is noted to be the first community based conservation project in the whole of Botswana. The local people in the areas of Maphosa, Nata, Manxote and Sepako voluntarily moved over 3,000 herds of cattle to establish a sanctuary which opened in 1993 winning the Tourism for Tomorrow Award in the same year for the Southern Hemisphere. 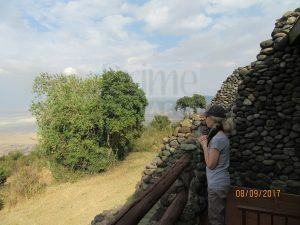 The Sanctuary presents good game viewing possibilities in the peak season, birding including sights of pelicans, flamingos, geese and ducks not forgetting panoramic view of the pans. The Makgadikgadu Pans National Park feature one of the world’s largest salt pans. The single largest pan stretches to 4,921.0 km2. The Salt Pans of Sowa and Ntwetwe are historical and impressive to encounter. They adjoin the Nxai Pan to form the greater Makgadikgadu Pans. 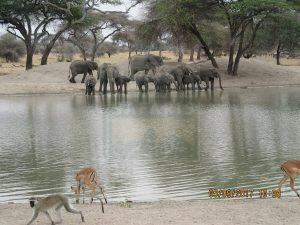 The Makgadikgadi Pans National Park feature impressive wildlife especially in the rainy season that is worth exploring. 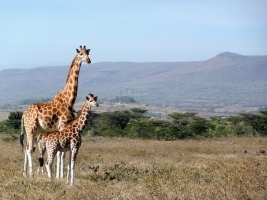 The counts of wildlife in particular enormous Zebra herds and the Wildebeest commence their migration to the west to the region of Boteti in the wet season. The other wildlife in the park include; Eland, Gemsbok, the red Hartebeest, bush buck, Kudu, Giraffe, Steenbok, Springbok, elephant, the accompanying predators along with the rare brown Hyena. The Makgadikgadi Pans National Park feature impressible bird life worth exploring. The range of migrant waders are present in the wet season while in the dry periods, the bird species like; lappet-faced and white-backed vultures, tawny and martial eagles, bateleur, lanner and red-footed falcons, black-breasted snake eagle, gabar and pale chanting goshawks. Others include; the Orange river and red-billed francolin, secretary bird, ostrich, guinea fowl, kori bustard, black and red-crested korhaan, crowned plover, spotted dikkop, double-banded courser, giant eagle, all species of sand grouse, pearl-spotted owls, hornbill, lilac-breasted and purple rollers, larks, pipits and cisticolas. In the Wet season, the bird species like ruffs, Sandpipers, the greenshank, the wattled cranes, stilts, egrets, storks, greater and lesser flamingos, the brown snake, lesser and rock kestrel among others thrive in the park. The game drive allows one to explore the verdant wild game thriving in the park both in the wet and dry seasons. The activity can be carried out both in the morning and in the afternoon offering sights of animal species like Zebra, Wildebeest, Eland, Gemsbok, the red Hartebeest, bush buck, Kudu, Giraffe, Steenbok, Springbok, elephant, the accompanying predators along with the rare brown Hyena. The Makgadikgadi Pans National Park with its numerous bird species offer good birding opportunities allowing one to explore counts of Species including the lappet-faced and white-backed vultures, tawny and martial eagles, bateleur, lanner and red-footed falcons, black-breasted snake eagle, gabar and pale chanting goshawks. 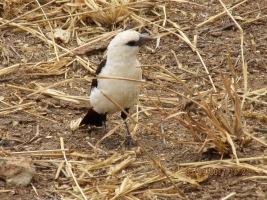 Others include; the Orange river and red-billed francolin, secretary bird, ostrich, guinea fowl, kori bustard, black and red-crested korhaan, crowned plover, spotted dikkop, double-banded courser, giant eagle, all species of sand grouse, pearl-spotted owls, hornbill, lilac-breasted and purple rollers, larks, pipits and cisticolas. Birding in the Wet season offers possibilities of viewing bird species like ruffs, Sandpipers, the greenshank, the wattled cranes, stilts, egrets, storks, greater and lesser flamingos, the brown snake, lesser and rock kestrel among others. The community tours allow one to explore the way of life of the residents of Maphosa, Nata, Manxote and Sepako including their cultural traditions. 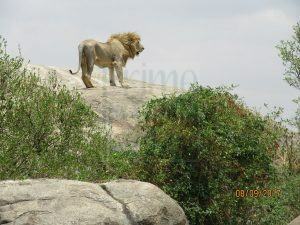 The Nata Sanctuary which is a community conservancy initiative also offers impressive community encounters with a blend of wildlife and culture. 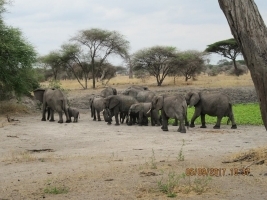 The Makgadikgadi Pans National Park’s entrance is positioned at a half way of Maun and Nata along the Francistown road and the 4 X 4 vehicle is recommended. It is 45km from Gweta. This is positioned in an oasis featuring acacia and palm trees thriving in the barren wilderness of Kalahari. The Camp was built in 1960s by Jack Bousfield and was later expanded and refurbished in 1992 and 2003 respectively. This camp can be reached by road and fly in from the local Airstrip. 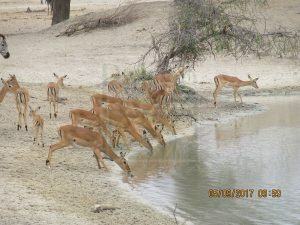 This is positioned close to Khumaga Village to the west of Makgadikgadi Pans National Park. The lodge overlooks the River Boteti eastern bank which flows from Okavango Delta via River Thamalakane in Maun. The Leroo Ta Tau Lodge is about 1 ½ hour’s drive from Maun and the nearby entrance is Khumaga gate. 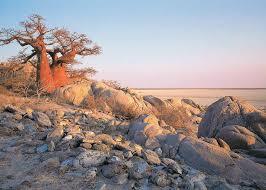 Planet Baobab is situated to the north of Makgadikgadi Pans National Park 200km from Maun in North Central Botswana. The lodge is positioned at 4km to the east of Gweta town under one of the remarkable prehistoric baobab trees in the desert of Kalahari that form the back ground for its naming. 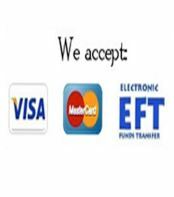 The planet Boabab offers Budget accommodation option and has for long served the self-drive clients along with agent booked travellers on safari in Botswana. The Camp Kalahari is positioned on the border of the Makgadikgadi salt pans in destination Botswana. Ten (10) luxury tents of which seven (7) twins, two (2) doubles and one (1) family tent. Meno A Kwena is positioned in the Salt Pans of Kalahari on a tribal land with the views of River Boteti. The Meno A Kwema is an indigenous name meaning teeth of the Crocodile standing as a budget lodge featuring a maximum occupancy of sixteen (16) travellers. All tents have en suite bathrooms. Sans Camp stands as a deluxe camp a sister to Camp Kalahari and Jack’s Camp. 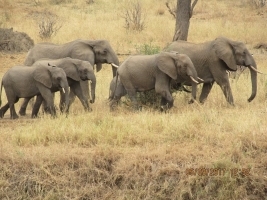 The 3 Days Botswana Wildlife Safari to Chobe National Park is designed to favour the exploration of Botswana’s first gazetted National Park and the third largest. The 8 Days Botswana Safari is one of the good medium wildlife Safaris in Botswana taking you to the famous Okavango Delta, Savute Reserve, Linyanti Reserve and the Chobe River front.